This is another great sounding call being added to my Screamin Thunder Call line. 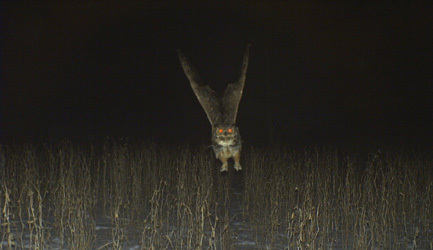 This is one of the most realistic Owl Hooters I have heard. It has a nice rasp and roll to it. Those Longbeards have no choice but to gobble at this call. I hand tune each of these calls by hand and are tested for sound and quality before they leave my shop. 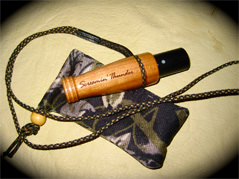 These calls are made from Cherry Wood and come with a camo carry bag. As with all my calls, if you break the Screamin Thunder Owl Hooter, send it back and I will replace it.